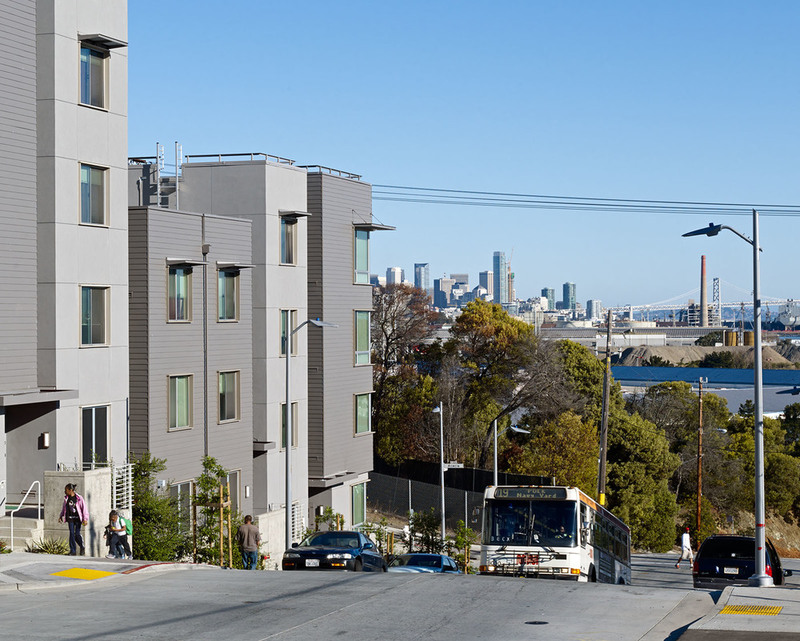 HUNTERS VIEW — Devine & Gong, Inc.
Hunters View was a 267-unit public housing project located in Bayview Hunters Point that was originally constructed in 1956. Faced with the reality that Hunters View had deteriorated beyond repair and that it would soon become uninhabitable, the San Francisco Housing Authority selected the development team of Ridge Point Non-Profit Housing Corporation, The John Stewart Company and Devine & Gong, Inc. in 2005 to work with residents, the community and the city to revitalize the community. 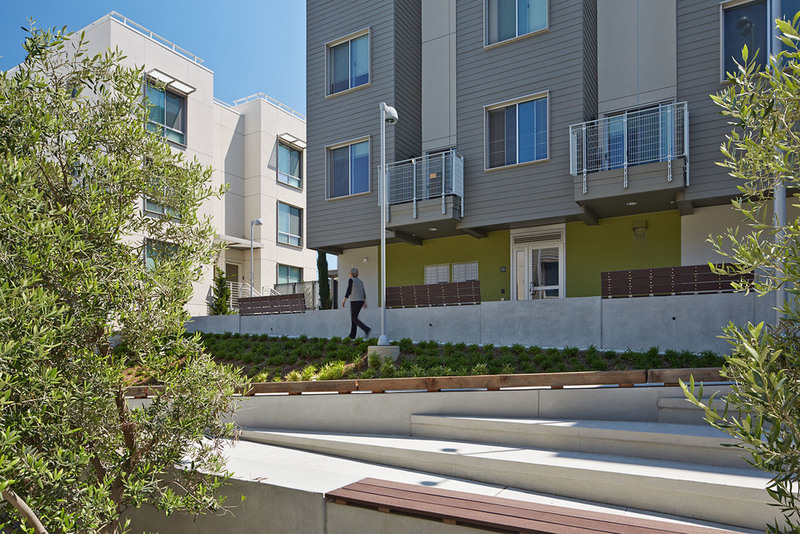 As the first project developed under the city's HOPE SF program, the core aim of Hunters View is to create a neighborhood by sustainably integrating housing types and income levels. Within the overall housing mix, roughly half of the target number of units are slated to be low-income housing, with limits ranging from extremely low-income to households with incomes between 40% and 60% AMI. 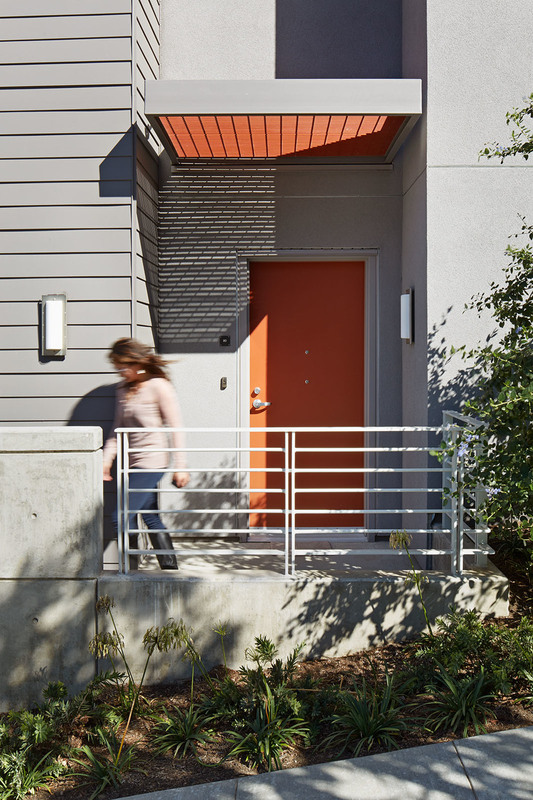 The remaining are set aside as market rate or first-time homeownership, contributing to the diversity of housing options at Hunters View and reducing the socioeconomic isolation that has negatively impacted the community for decades. Significant infrastructure improvements are underway which include demolition of existing streets and utilities, grading and replacement of all existing utilities, including new water and sewer systems. The streetscape is being redesigned to improve physical connectivity and new pedestrian pathways will link residents with schools, daycare, and transit. Resident feedback was crucial in shaping the service programming that will be a key part of the project and will ensure that residents have access to specialized services in the surrounding community. For more information, please visit www.huntersview.info.